At Tim's we remove trees of all sizes and shapes. 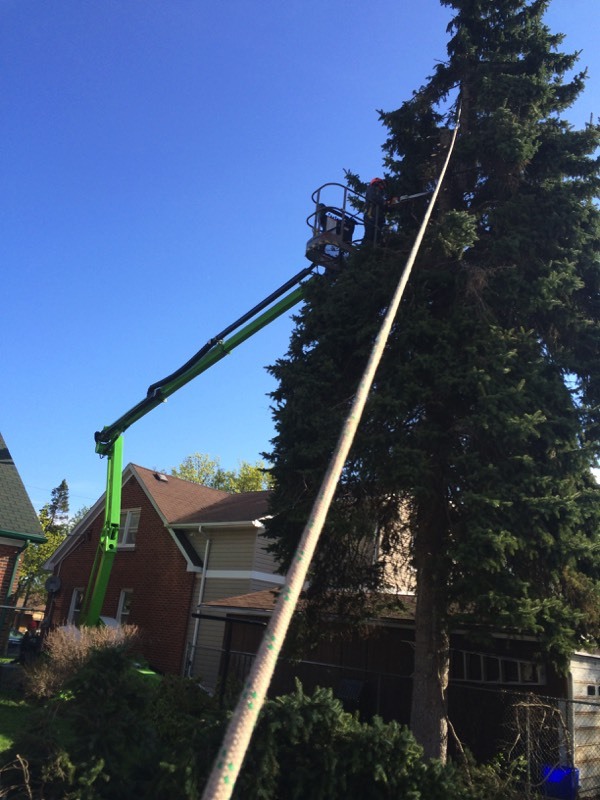 Some require climbing, other more dangerous trees we can remove with an aerial lift device. 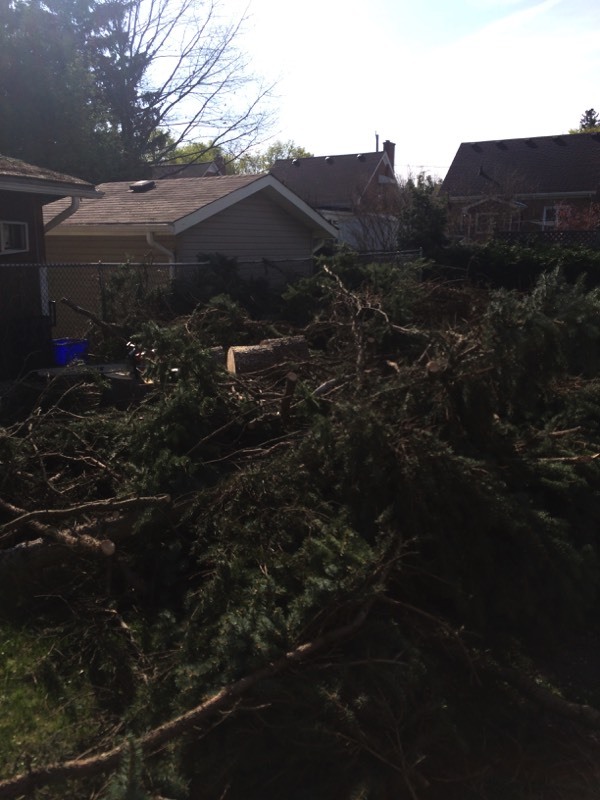 We use our years of experience to determine the proper way to safely and affordably remove your tree, or branches. 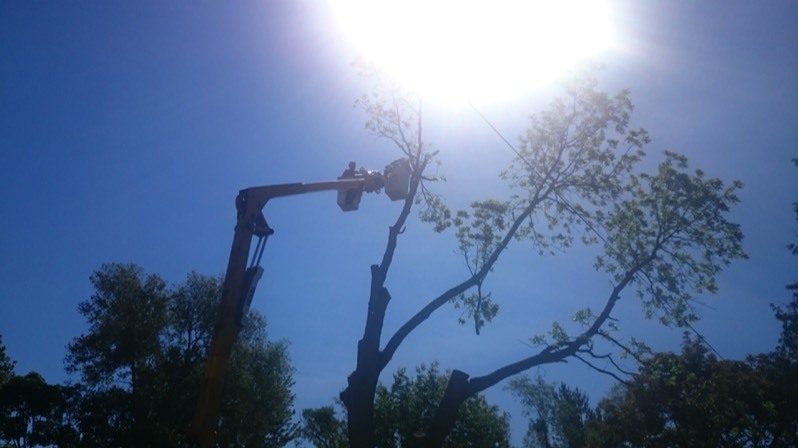 Please contact us to arrange for a free quotation of your tree job. People often as what goes into a tree removal. 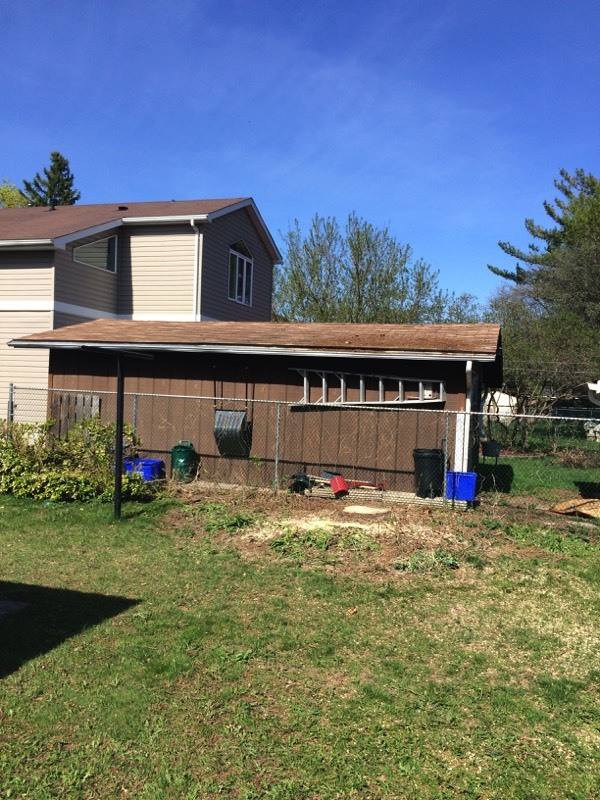 I'm happy to walk a customer through the process, but in the mean time, please see some photos showing the job from start to finish. 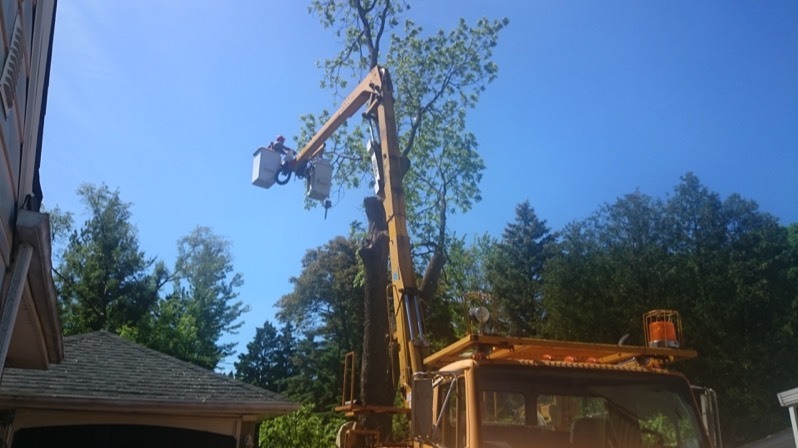 I recently removed a large black walnut tree from a Kitchener backyard. This tree was located in a small backyard with many hazards under the tree, such as houses, sheds and utility cables. The bucket truck was brought in, and the tree was taken down safely without causing damage. One of my workers had a drone with a camera attached, and caught some video of the set up and removal. 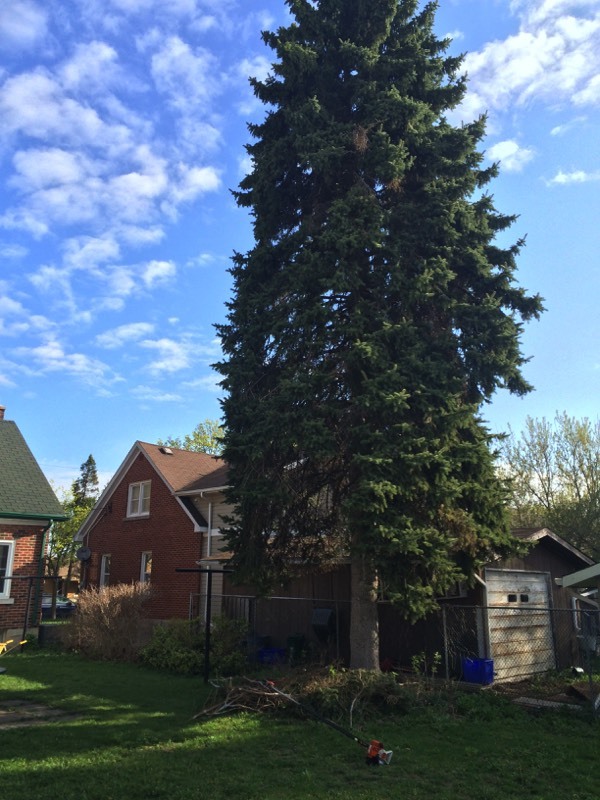 Kitchener - Backyard spruce tree removal. We brought in a lift truck for the removal of this tree. 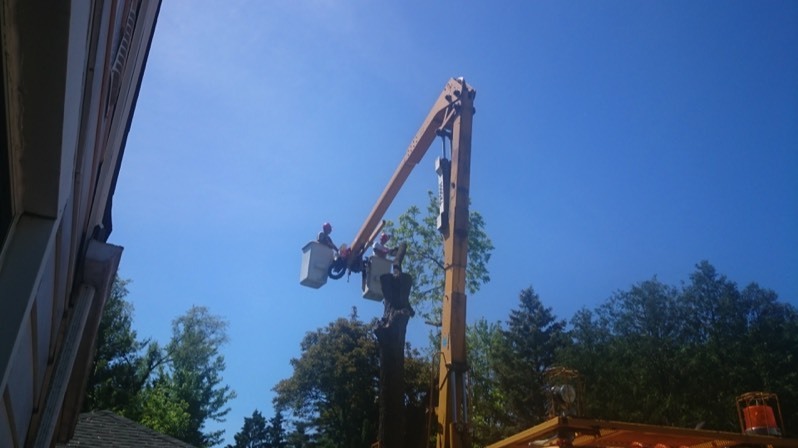 Typically we would climb and limb, or just fell this type of tree, but with access, and the availability of the lift, we took advantage of working a bit safer and smarter on this one. Still, quite the mess and an all day job to clean up the tree and surrounding hedge.